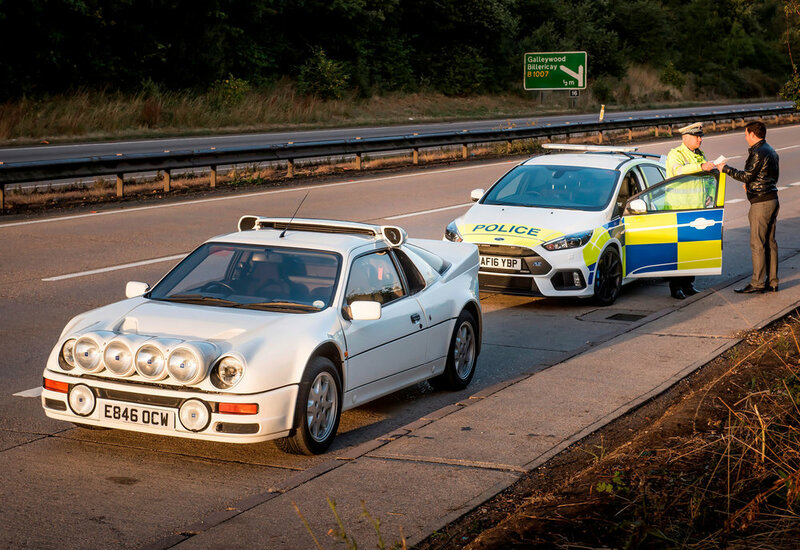 A special version of the Ford Focus RS has been tested by the police – on trial exactly 30 years after a Ford RS200 police car was put through its paces. 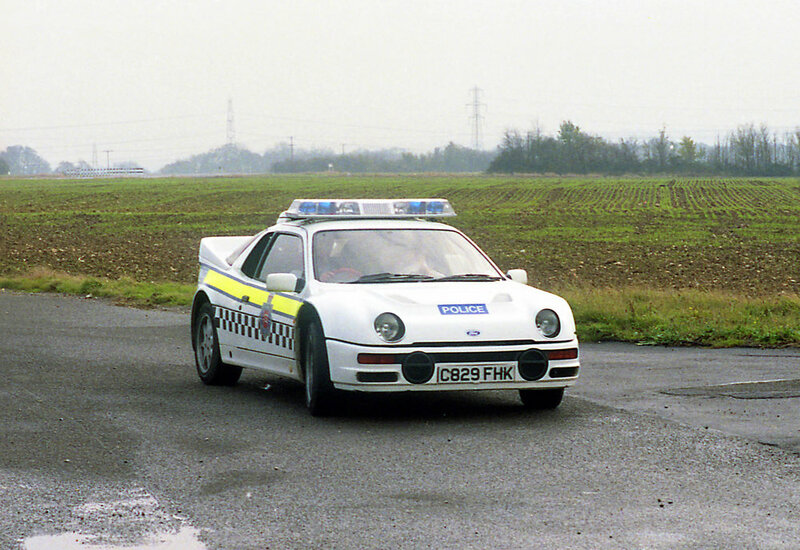 The new cop car – based on the Focus RS – has been on test with police forces across the UK. 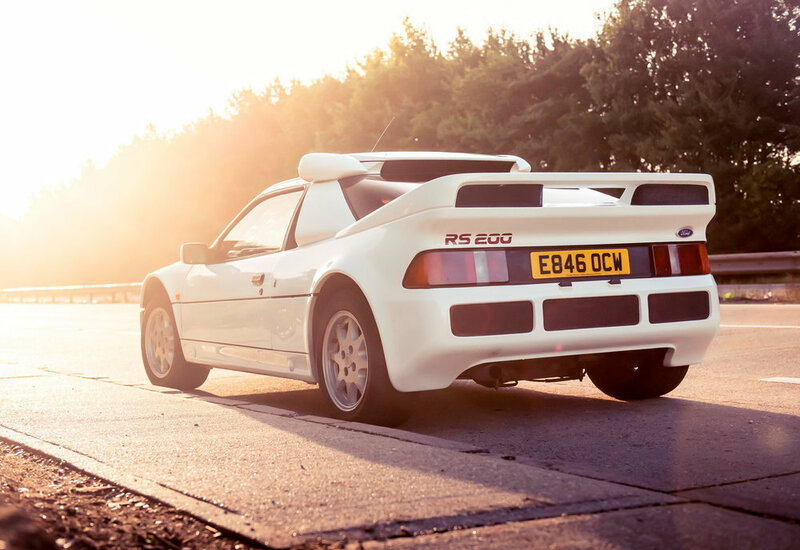 The four-wheel-drive, front-engined hot hatch reaches 60mph from a standing start in under five seconds. 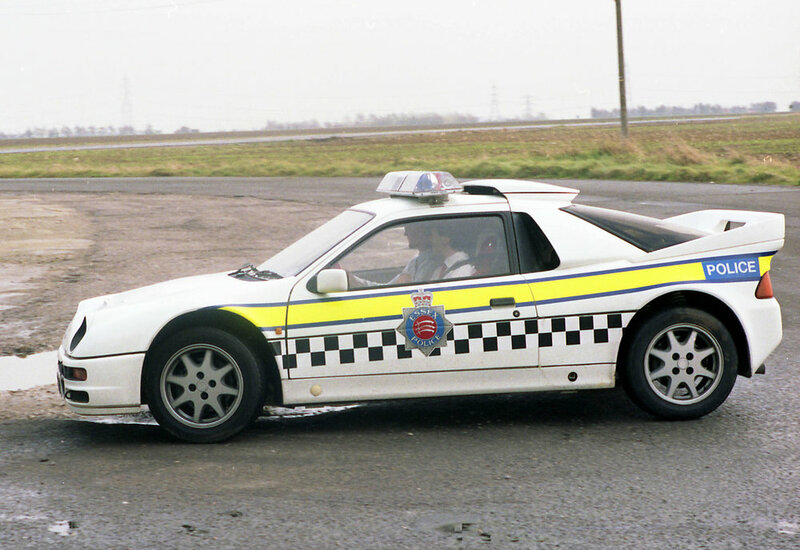 Powered by a 2.3-litre turbocharged, 16-valve, four-cylinder Ford EcoBoost engine, the Focus RS develops 345bhp in standard road-going form – meaning that even the fastest Ford RS models of 30 years ago are no match for the Ford RS police cars of today. 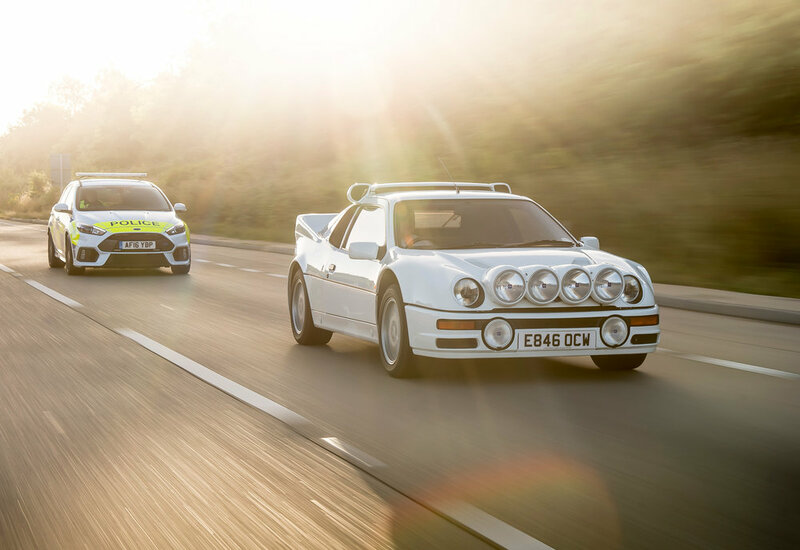 The body was designed by Ford of Europe Design’s Ernesto Rupar, while the mechanical design and development was the responsibility of Ford Performance’s chief engineer, Tyrone Johnson. 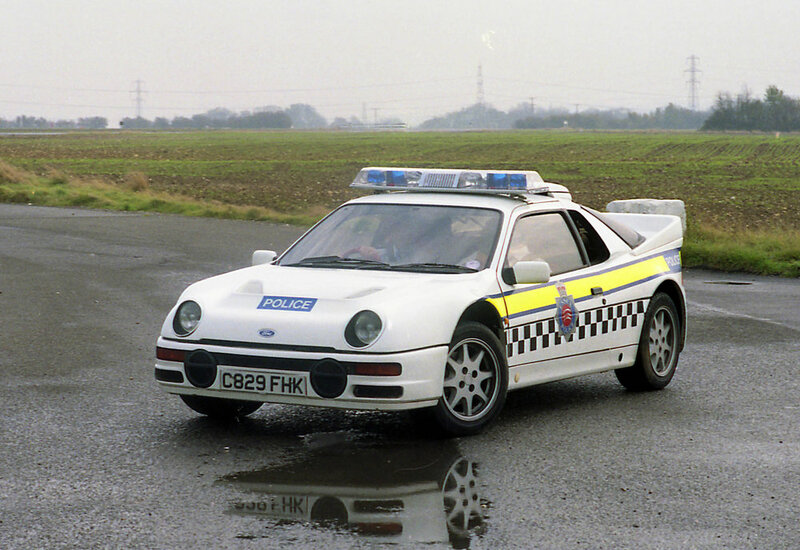 Law-breakers would be relieved to learn that, due to limited production numbers, Ford does not expect many police forces to offer a patrol car capable of catching anything on the road. 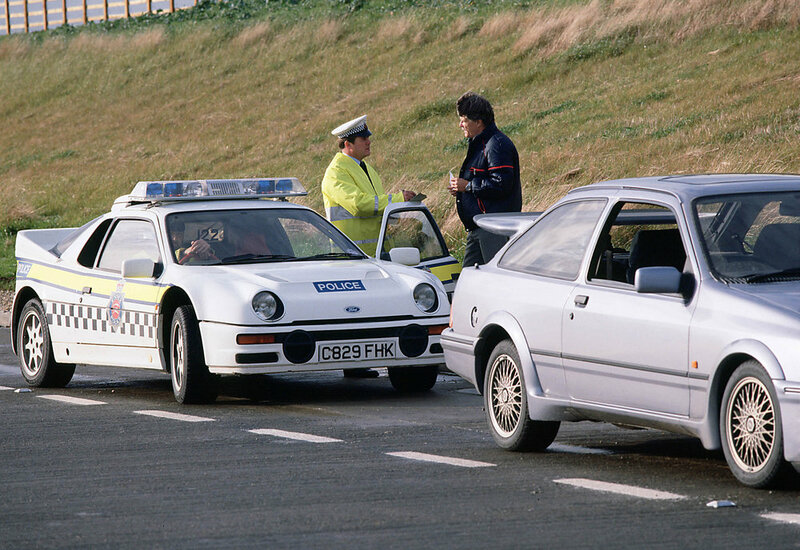 “But until they have tried it we won’t know whether it meets any specialist need”, said Terry Adams, Ford’s police sales manager. Most forces will continue to rely on the standard Ford Focus and Ford’s biggest-selling police vehicle, the Transit Custom, for patrol duties. 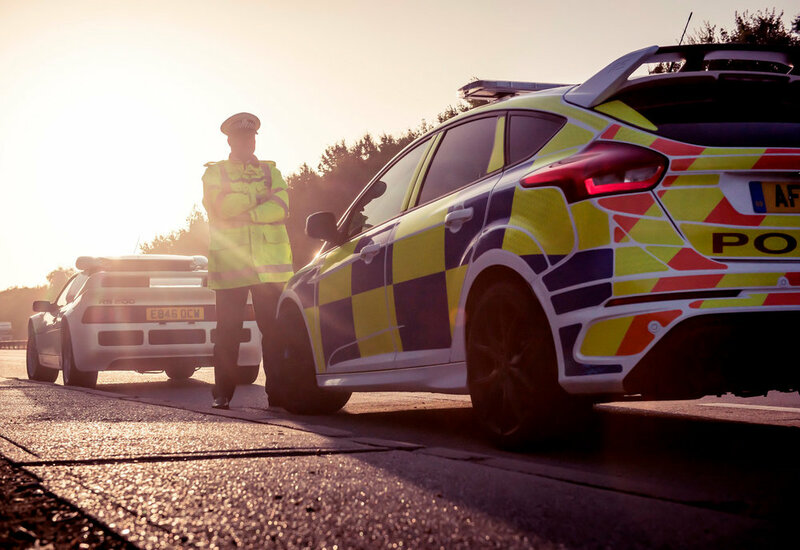 Ford supplies more than 1,500 vehicles to Britain’s police forces across the country, including the Ford Kuga and Ford Ranger in rural areas. 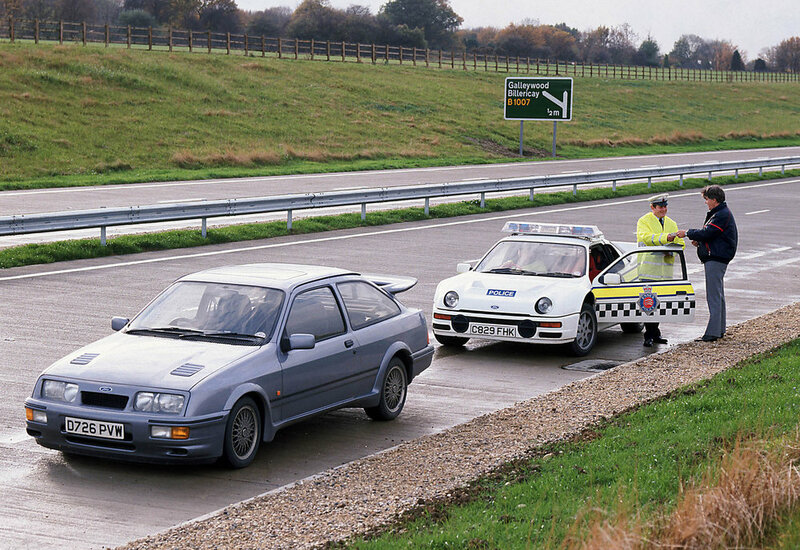 Unlike the RS200, the Focus RS includes most practicalities expected of a police patrol car, including rear doors for suspected criminal accommodation and a boot large enough for traffic cones. The Ford Focus RS costs from £31,250 OTR.